When we travel, we have the opportunity to experience other cultures in so many ways. We can meet the locals and learn from them about their culture and language, take in the scenery and wildlife, experience the food … the chances for our hearts being transformed are endless. And of course, music! Traditional music everywhere we look across human cultures, and few places are as synonymous with rich musical heritage of song and dance than Africa. The continent of Africa is home to a vast array of devotional, classical, folk and popular musical traditions which come together to create vibrant music festivals, a perfect add-on to your trip with Global Basecamps. There are many of these festivals that take place throughout the year in the countries we serve, including South Africa, Zimbabwe, Tanzania and Morocco. Splashy Fen is named after the farm it is held on, and what began as a few friends playing songs around campfires has grown immensely since it officially started in 1990. Being South Africa’s longest-running music festival, it’s held amongst gorgeous mountain scenery in the KwaZulu-Natal area around the end of March/beginning of April. 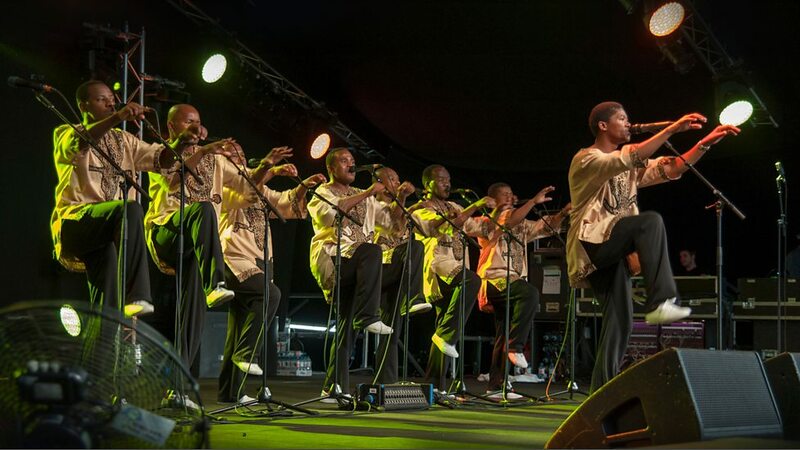 Many pop music acts have performed alongside traditional South African artists, including the famous Ladysmith Black Mambazo. 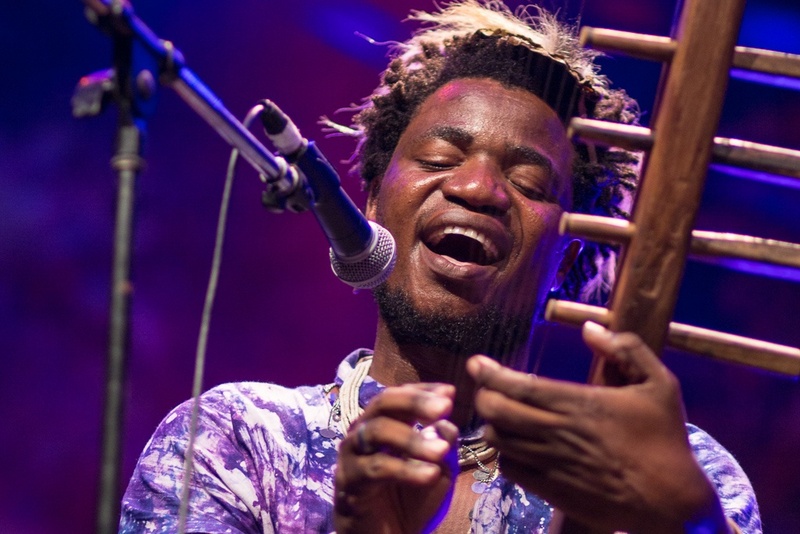 Live musical acts from all over Africa converge on Zanzibar for the famed Sauti za Busara Festival, held annually in February in Stone Town. 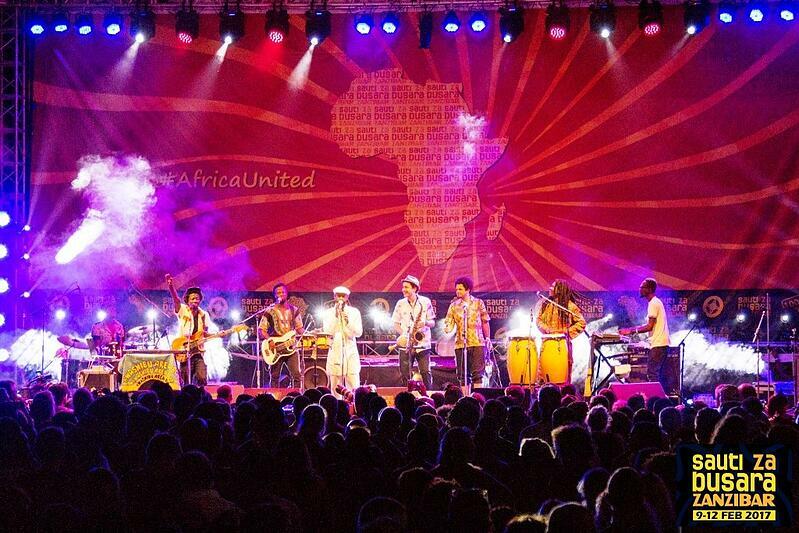 Many of Africa’s music festivals feature international performers. Southern California’s Ben Harper put on a mesmerizing performance at Morocco’s Fes Festival of Sacred Music in 2011. Zimbabwe is a country more known for a memorable Zimbabwe Safari and natural splendor than festivals and events, but HIFA (Harare Festival of the Arts) stands out as a top national event. This diverse gathering offers opportunities to see live music, theatre and poetry, attend workshops, and take part in crafts and design. It is held in late April or early May in Zimbabwe’s capital city, Harare. Msafiri Zawose, a charismatic performer, prolific songwriter and multi-instrumentalist coming from a lineage of iconic Tanzanian musicians, has performed frequently at Zanzibar’s Sauti Za Busara. Photo by Sauti Za Busara. The most recent promo video of the incredible Sauti za Busara Festival, typically featuring upwards of 400 artists from across the continent. Perhaps the most unique of Africa’s music festivals is held February on Tanzania’s Zanzibar Island. Sauti za Busara is special in that it takes place at a UNESCO World Heritage Site (Stone Town) and features only live acts, with no electronic music permitted. This is a festival where you will see traditional music from across Africa, with fewer international performers. 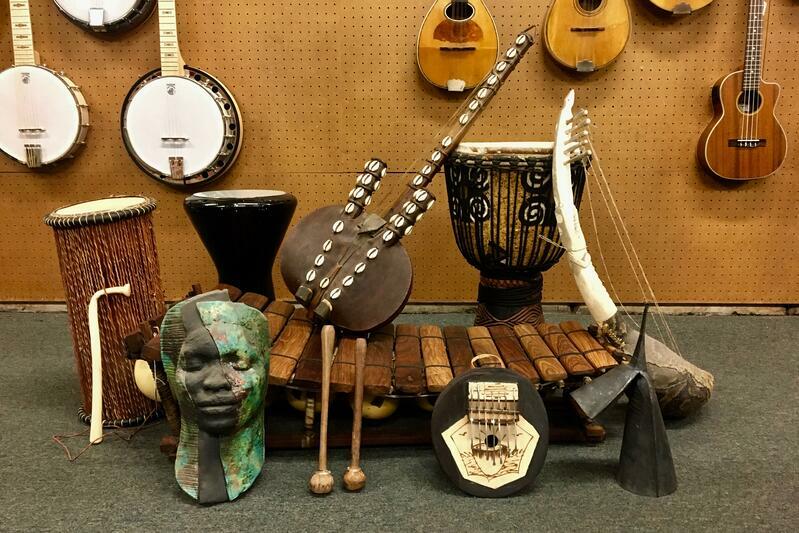 Traditional instruments from across Africa. Photo by @colinhrichard with special thanks to the Chase and Harper families and their Folk Music Center. 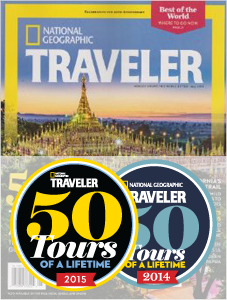 At the northwest corner of Africa lies Arab-influenced Morocco, an increasingly popular destination for Global Basecamps tours. The Fes Sacred Music Festival is rich in tradition and culture, exploring the transcendent dimensions of music. From their website: “Over the last twenty four years, the Fez Festival of Sacred Music has contributed to maintaining dialogue with the sacred through its most famous forum, and highlighting of arts and music.” The most recent festival took place in late June, and focused on ancestral knowledge. Whatever it is that might bring you to Africa - a safari, a Kilimanjaro climb, or exploring deserts or islands - there are plenty of ways to add to your trip through culturally and regionally distinct music experiences. Planning well in advance to secure your tickets and accommodations is wise, as these events draw crowds from all over Africa and the world due to their unparalleled experience! Festivals abound on this amazing continent, and making a point to attend one will only add to your already outstanding Global Basecamps trip.